« *** WINNERS *** Alison and Patricia are Living the Life of Riley! CONGRATULATIONS! Fotobounce is a FREE digital photo management application that allows users to manage, store and share full resolution digital photographs securely between a private network of friends and family, referred to as “Bouncers”. This private network protects users from the increasing privacy concerns and uncertainty that comes with relying on internet storage services or social networking sites. Fotobounce offers a FREE solution to all mothers looking for a practical way to manage their digital photo albums in a timely manner, as well as an opportunity to share these photos with a private network of friends and family. This private network gives mothers, who are concerned about putting photos onto public sites, a great alternative to protect their valuable family photo archive and their children’s images. 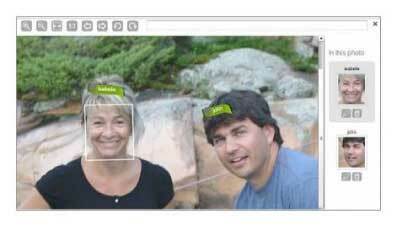 One of Fotobounce’s key features is its face recognition technology that automatically detects faces when photos are found or imported. As faces are detected by Fotobounce and tagged by the user, Fotobounce is "trained" to learn who people are and helps automate the tagging process. Note that all of the face recognition data remains local to your computer, unlike the features offered by major social networking sites where they store and use your face data on their public servers. A new improved version, 3.5, has recently been released with improved face detection accuracy and speed. It also has user interface improvements for easier tagging of faces and now supports Twitter and Eye-Fi camera cards. They also have released a new product called Fotobounce Viewer, which is available for browsing Fotobounce libraries remotely and securely from Android, Windows, Mac and Linux systems. 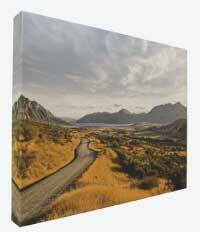 Fotobounce was also generous enough to give one of my readers a 44wide 16" x 20" Gallery-Wrapped Canvas worth $200 so that you can display one of your favorite photos in your home in style! Disclosure: No compensation was received to host this giveaway. The information posted was taken directly from the product's press release.